The ADA was enacted in 1990 to protect employment relationships and opportunities for qualified persons with physical or mental disabilities obtain and retain employment. It prohibits both public and private employers from discriminating against disabled persons and requires such employers to provide “reasonable accommodations” to enable disabled individuals to perform essential job functions. The ADA employment-related provisions serve to incorporate the procedures and remedies found in Title VII of the Civil Rights Act of 1964. “Employer” The ADA and related laws define this term as an “employer, employment agency, labor organization or joint labor-management committee” engaged in an industry affecting commerce with 15 or more employees working on each working day in 20 or more calendar weeks in the preceding calendar year. Excluded from this definition are federal government entities, Native American tribes, religious groups, and certain non-profit organizations. 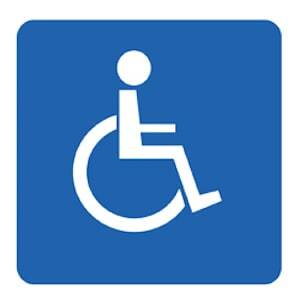 Employee was unlawfully discriminated against because of his or her disability. The California Fair Employment and Housing Act (“FEHA”) mirrors many of the protections afforded by the ADA and federal law and also goes further in some respects in protecting employees from disability-based discrimination, harassment or retaliation for exercising their legal rights. “Employer” under the FEHA includes any “person regularly employing 5 or more persons” who are “acting an an agent of the employer either directly or indirectly. It also includes State employees. This is a broader definition than what is provided for under the ADA. People Protected by FEHA Disability Discrimination Laws: The FEHA does not specifically define “employee” but, does exclude independent contractors (i.e. the person must be under the “direction or control” of the employer by way of a hire, appointment, apprenticeship, express or implied contract). Genetic Characteristics (a scientifically identified gene associated with causing a particular disease or an inherited characteristic determined to increase the risk of developing a disease). The physical or mental impairments described above are certainly not all the conditions to which the law may apply. In addition, disabilities do not have be permanent and can be temporary and still qualify for protection. What do the Laws Require an Employer to do? Provide Reasonable Accommodation: Although the employer is not obligated to create a new position or guarantee employment, they take reasonable measures to try to keep the employee working by complying with medical restrictions, providing time off, or taking other steps. If a person feels that they have a qualified disability or medical condition and the employer is not attempting to engage in trying to accommodate them, they should seek out competent legal advice from a lawyer. If the individual is terminated following a medical leave of absence or as a result of requesting accommodation for their disability or medical condition, talking to an attorney can mean the difference between being able to obtain lost wages and the value of employee benefits or simply losing out and being forced to seek future employment and bear the financial burden of working through their medical issues on their own. The employment laws in the State of California provide for protection. It is up to the individual to seek out legal help and be afforded such safeguards. For a free consultation on any employment related matter including wrongful termination, call our 24/7 California employment law helpline toll free at 866-966-5240!